Your house will soon be filled with dolls, lipstick, and tiny high heels! 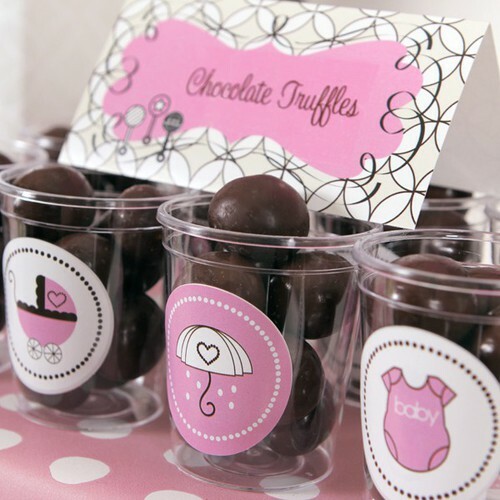 Prepare for this joyous girly moment with our perfectly pink-themed baby shower kit. 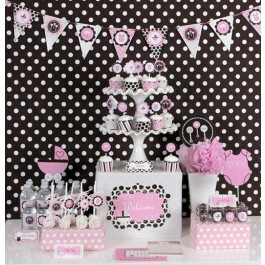 Our adorable Pink Baby Shower Mod Party Kit will turn your house into a baby girl wonderland in the blink of an eye! This custom, do-it-yourself, baby shower kit has everything pink you could possibly need for your upcoming baby shower. 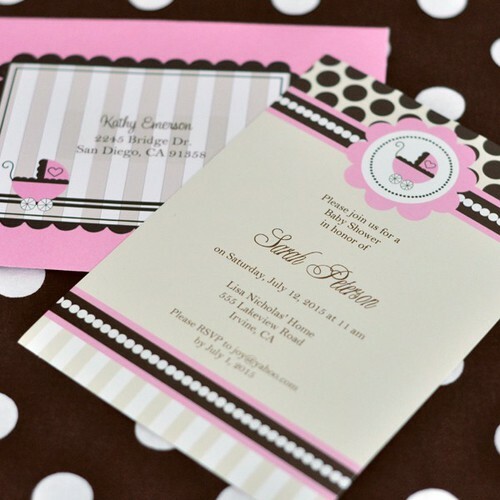 Pink party themed patterns and prints are coordinated on everything to unite your baby girl theme; from pink baby carriages to showering umbrellas, we have it all, right down to the invitations and matching envelopes! You will be able to decorate your party with a custom look feel without all the work. 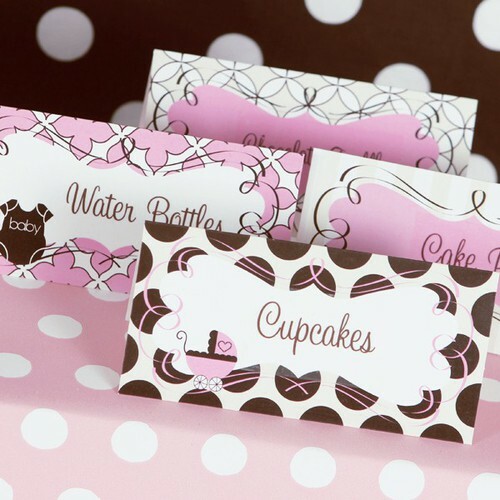 This custom kit includes everything from cupcake toppers to water bottle labels and everything in-between, making party planning a cinch! Just add your own goodies and your party is ready to go! 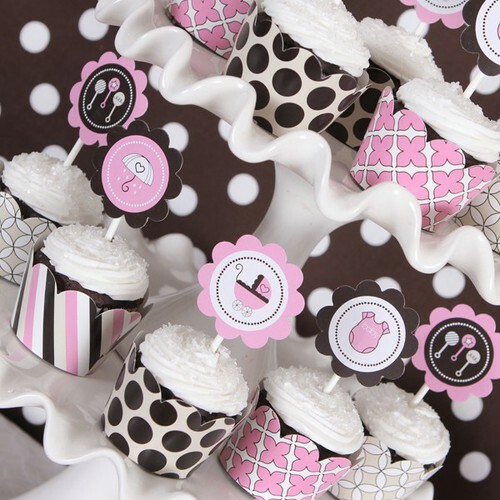 You can further customize your event (for an additional charge) with our coordinating 2" round personalized labels perfect for adorning any extra party essentials with pink flare! Simply add your names, date and/or personal message to tie it all together with love. 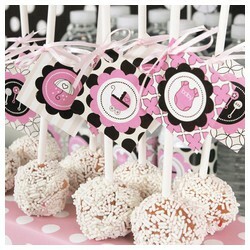 Share the news of your baby girl with our adorable Baby Pink Mod Party Kit!